Children love bright colours, so a bit of planning to make your smoothies colourful will give you a headstart. An unappetizing looking smoothie will put them off, so choose one dominant colour for your ingredients and you will have better control over the end result of the smoothie. If you have a recipe that results in an unappealing colour, you may wish to disguise it in closed container with a lid. Most children have a sweet tooth. Some vegetables are naturally sweet, but more natural sweetness can be added by using fruit. The trick is to balance the sweetness without adding too much extra sugar. 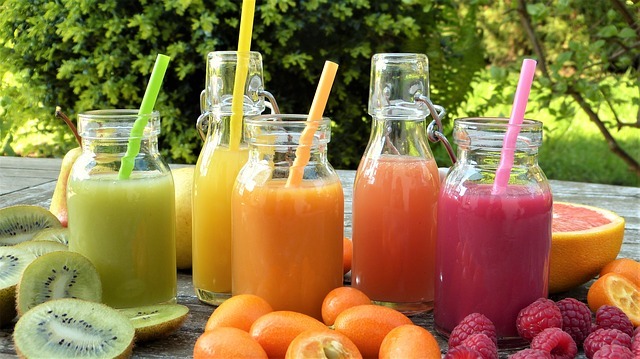 If you gradually decrease the amount of fruit in the smoothies you make, your children will not notice the changing taste and will soon not require as much sugar. The unexpected texture of unblended chunks of fruit and vegetables can put your children off their smoothies. Therefore, make sure your blender is of good quality to ensure optimal smoothness. Smoothies are generally drunk from a glass, jar, or other container, but they can be consumed in a handy portable pouch as well. Sinchies have a range of reusable food pouches that are perfect for smoothies on-the-go or anytime they’re not at home. An added bonus is that you do not need to worry about shattering glass if they knock it over or drop it.